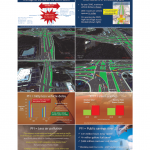 Welcome to the US-41 at SR-54 parallel flow intersection (PFI) resource page. US-41 (SR-45) at SR-54 intersection in Land ‘O Lakes, Florida. Contact GFParsons with any questions. On 30-Nov-2017, the VISION 54/56 Task Force voted to recommend the PFI (Alt 8) with/without bridge, CFI (Alt 7) with/without bridge and Elevated Express Lanes at Major Intersections (Alt 4). Next step is for MPO Board to vote to advance these alternatives to Phase 3 Preliminary Engineering. (based on new Design Year 2040 traffic volume). Pasco County, FL VISION 54/56 Phase 2 Task Force Workshop (10/26) Supplemental Information. Updated PFI Concept Plan (v2.0) for smaller footprint. 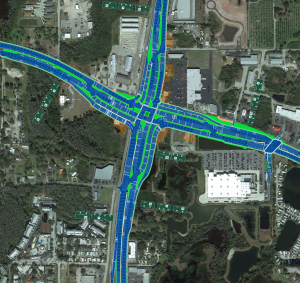 Watch a video simulation of the PFI (v3.0) at the US41/SR54 intersection. 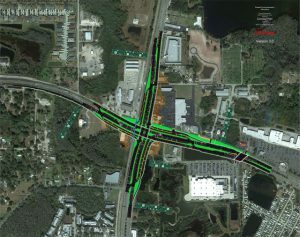 To learn more about the project background, visit the Florida Department of Transportation project website here. For the community task force Vision 54/56 website here. For general information on the PFI, visit the GFParsons PFI resource page on this website here. GFParsons proposes the PFI as a value engineering alternative for FDOT to consider using on the subject project. 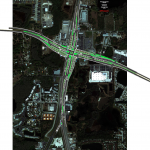 Download PFI Concept Proposal packet submitted to FDOT 2/26/2016 (updated 3/28/2016) here (65 Mb zip).